Thank you for a another great year together! Enjoy this free printable from me as a small gesture in gratitude for a wonderful year of blessing! I have enjoyed meeting so many new painters. Each party challenges me to reach, grow and learn new things! Thank you for inviting me to share the love of art with you and your friends! Merry Christmas! 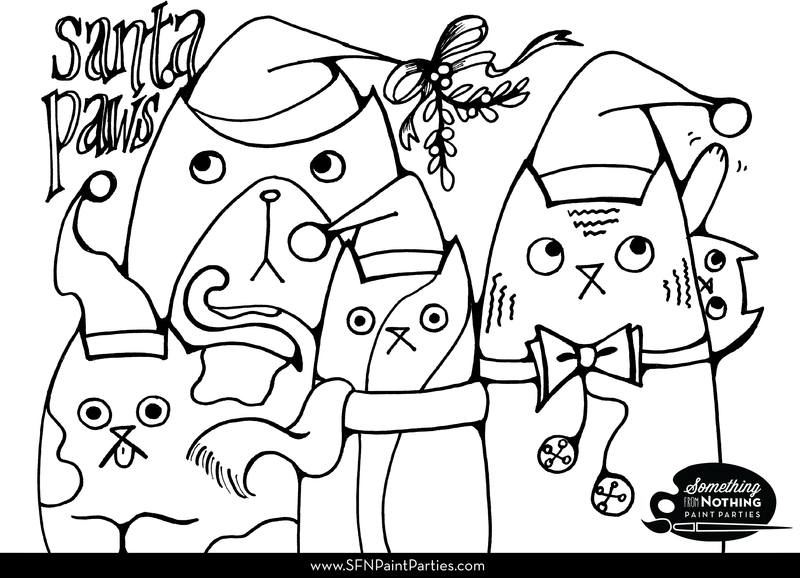 for parties booked Now -Dec. 31! Your members or staff can enjoy appetizers or a meal while having fun, creating together! Each person will take home a holiday gift for themselves or others! 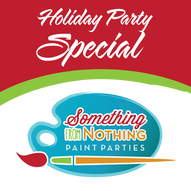 With Something From Nothing Paint Parties you have many options for a great holiday event! We can come to your facility. Have food catered in or order our simple catering package. Plan your party for your favorite restaurant location. Invite the party to be held in the warmth of a home, cater the food or have a potluck. It’s easy! We do set up and cleanup!